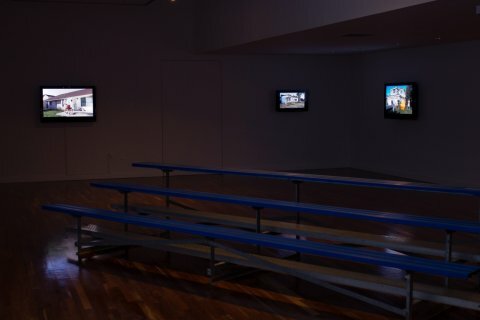 In this companion piece to How You Play the Game, created for our solo exhibition Play Against, we used foreclosed properties in the Inland Empire region of California as a stage for the simulation of the stereotypical images of the pride of home ownership. Already honored to be participating in "The Gildless Age," a group exhibition at the Torrance Art Museum curated by Denise Johnson, we are further honored to have our work in the show spotlighted by Christopher Knight in his LA Times review. 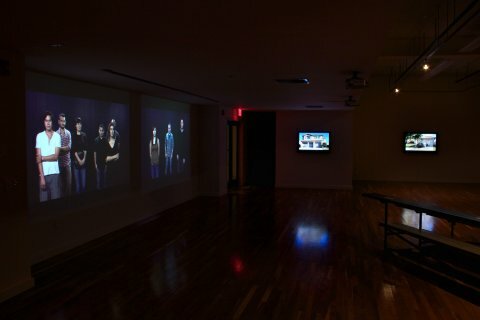 We originally made the multi-channel performative video piece, called Temporarily Embarrased, for inclusion in our 2011 solo show "Play Against" at the UCR Sweeney Art Gallery. 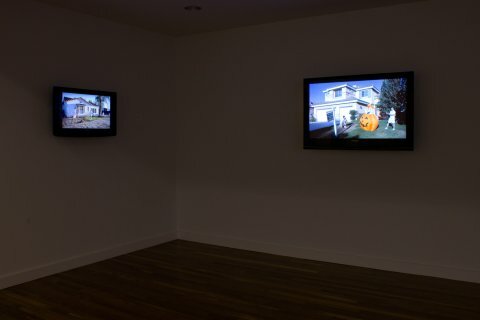 In the videos, we "perform an image" by standing still for 2 minutes, frozen in the midst of the performance of "pride of ownership" tasks on the grounds of foreclosed properties in the Inland Empire region of California, ground zero for the foreclosure crisis. "The videos are structurally odd," Knight says, "which is constructive." The title of the piece references a statement attributed to John Steinbeck that equates socialism's lack of appeal in the United States with an economically disenfranchised class considering itself "temporarily embarrassed millionaires." Knight concludes, "JEFF&GORDON infuse the scenes with a subtle, churning sense of cyclical inevitabilty and frail response." Contains excerpts of each of the five 2-minute looping channels. 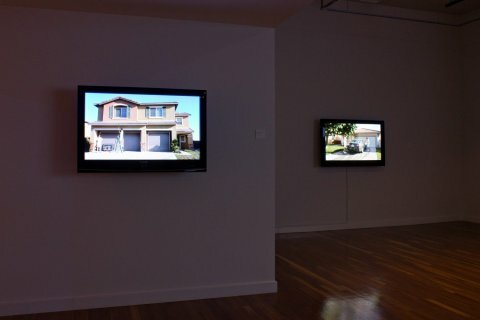 The stills below show the piece installed in the UCR Sweeney Art Gallery for the JEFF&GORDON solo exhibition "Play Against."